After three fantastic years in the gallery space at Smallegade, Frederiksberg in Copenhagen the time has now come for Copenhagen Ceramics to move on and enter a new phase. 27 very different exhibitions have been shown over these three years and - as anyone having followed CC can testify – the great diversity of expressions within contemporary ceramics has been thoroughly demonstrated. The mediation and rendering visible of this has precisely been our intention and we are very thankful for the huge support and interest, that all our guests and followers have given to the project, in Denmark and internationally. 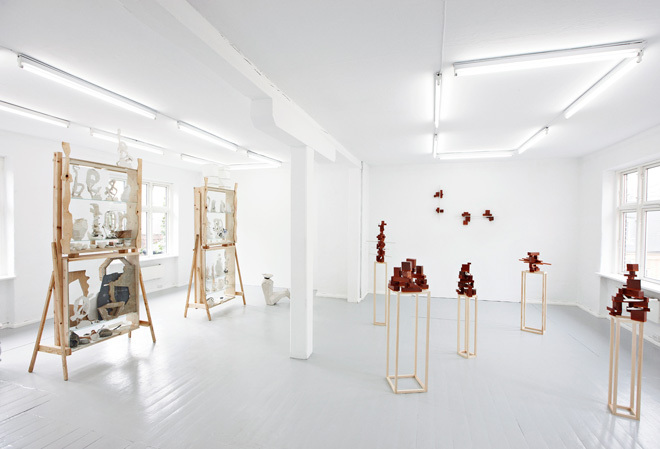 The gallery space at the back premises of Smallegade 46, Frederiksberg in Copenhagen was closed by the end of season 2014 and the initiators of the Copenhagen Ceramics project are currently working to establish new ways of presenting contemporary ceramics in Denmark and internationally. You can follow news about the project by visiting our blog and sign up for newsletters by filling in the form under contact. Our website will stay active and here you will continuously be able to see all our exhibitions and read press releases for all 27 shows of 2012, 2013 and 2014. 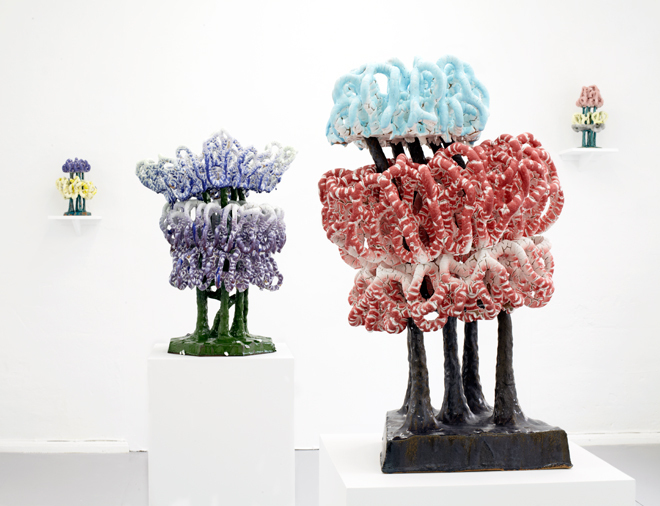 In his upcoming solo exhibition ceramicist Steen Ipsen shows a series of organic objects. In his new works, he focuses on the curves and the way line-decorations are affecting the particular shapes. 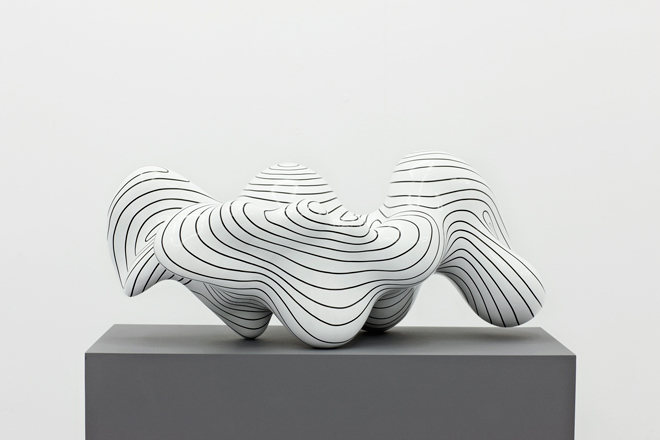 In the exhibition "Organic Movements" at Copenhagen Ceramics Steen Ipsen will be showing new works, in which he focuses on the objects’ movements and highlights the convex and concave curves. 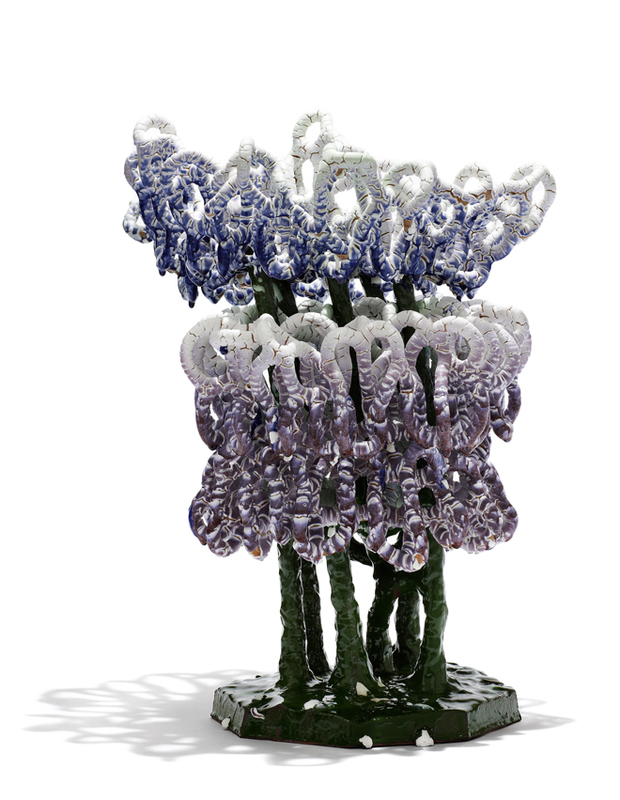 Ipsen works with organic shapes without intending to imitate fragments of animals or humans. Highlighting these curves and shapes is what is significant to him. In some of his new works he also shows us an interpretation of how spherical shape elements try to work their way out through the object's "skin". 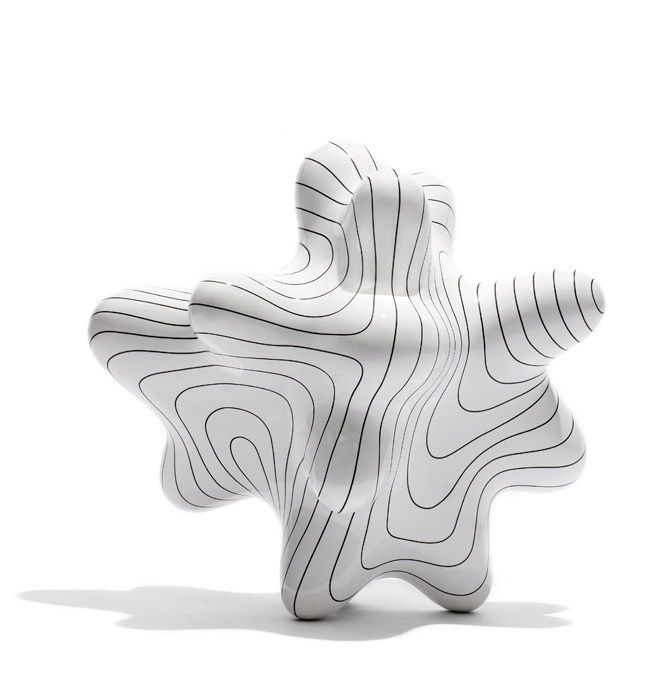 Ipsen works with white monochrome glaze, drawing a black decoration to form a contrast with the object's shape and to express the influence of the decoration on the sculpture's movements, resulting in a strong graphic expression. According to Ipsen himself, he looks for inspiration in the world of dance such as Harald Lander's ballet “Etudes”, which shows classical ballet exercises and steps performed by dancers who act as organisms controlled in a synchronous movement. Ipsen has been experimenting with drawing lines on film and projecting these onto objects to examine how the decoration interacts with the object, all of this resulting in new ideas for hand-decorating. The ceramic objects are all freehand modelled, based on fragments of small sketches in clay. In the process Steen Ipsen makes his very own rules and methods, changing the shapes in order to achieve the balance and expression that he wants in his work. 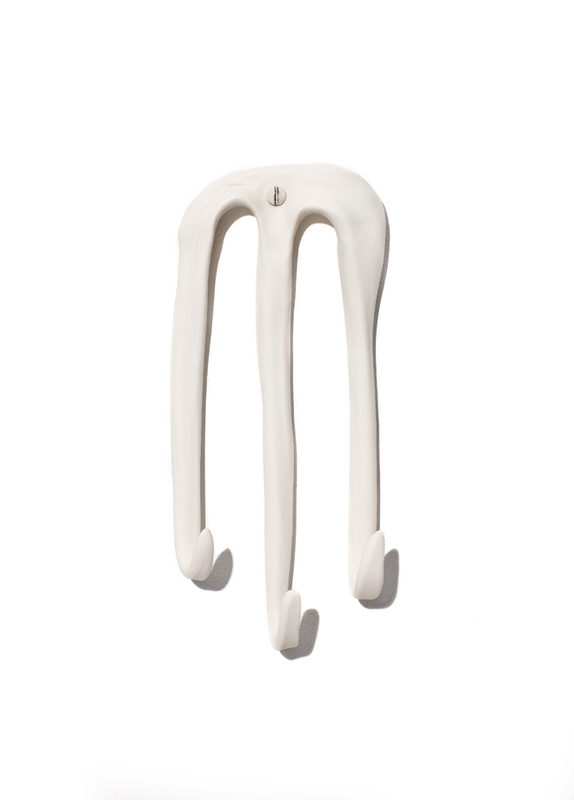 The work of Steen Ipsen is represented in Danish and international museums and collections e. g. Musée des Arts Décoratifs, Paris; Musée National de la Ceramiqque Sévres, Paris; Victoria & Albert Museum, London; ASU Art Museum, Arizona, USA; Museum für Kunst und Gewerbe, Hamburg; Musée Magnelli, Vallauris, France; Icheon World Ceramic Center, Korea, 2007; Höganäs Museum, Sweden; Designmuseum Danmark; Trapholt Art Museum, DK and Annie and Otto Johs. Detlefs Collection. 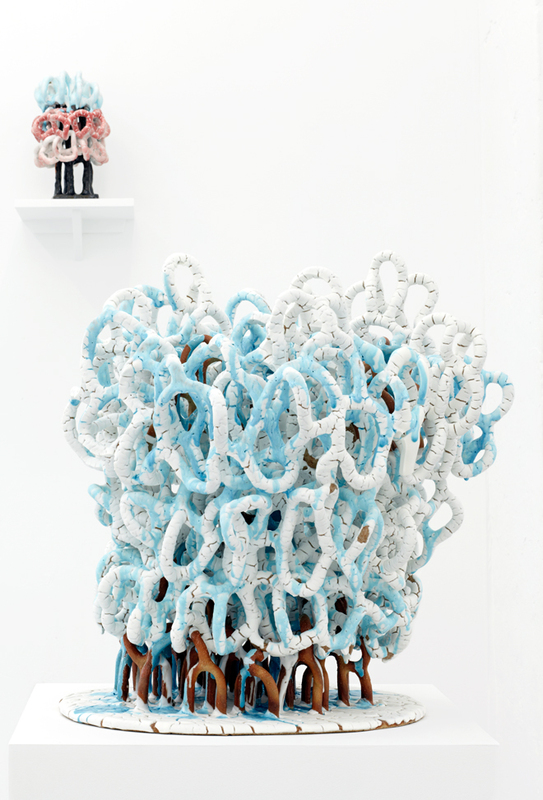 Recent shows include: Galerie NeC nilsson et chiglien Paris 2014 (solo) 2010 (solo); Puls Gallery, Bruxelles 2013 (solo); Cheongju International Crafts Biennale, Main Exhibition, Korea 2013. (solo); NeC Gallery, Hongkong 2012 (solo); Gallery Dock-56, Hamburg, Germany 2010-2011 (solo); 10.000 timer, Trapholt Art Museum, DK, 2014; Bellevue Art Museum, Washington 2014; Art Paris, Grand Palais 2014; ASU Art Museum, Arizona 2013; Sydney Opera House 40th Anniversary-exhibition 2013; Biennale at Grand Palais with NeC Gallery, Paris 2013; European Parliament, Brussels 2012; Mindcraft 10, Milano, Italy 2010; EXPO 2010 Shanghai, Nordic Light House 2010. The exhibition will be opened on 23 October at 5 pm by Roger Nilsson, owner of Galerie NeC nilsson et chiglien, Paris. At Copenhagen Ceramics ceramicist Mikael Jackson will be showing a new series of works that explore the physical conditions for balance with the architecture of the gallery-space itself as the starting point. The ceramic works consist of juxtaposed geometrical elements, whose meaning as both freestanding and supporting elements is scrutinized. account for the actual shaping of the final works. 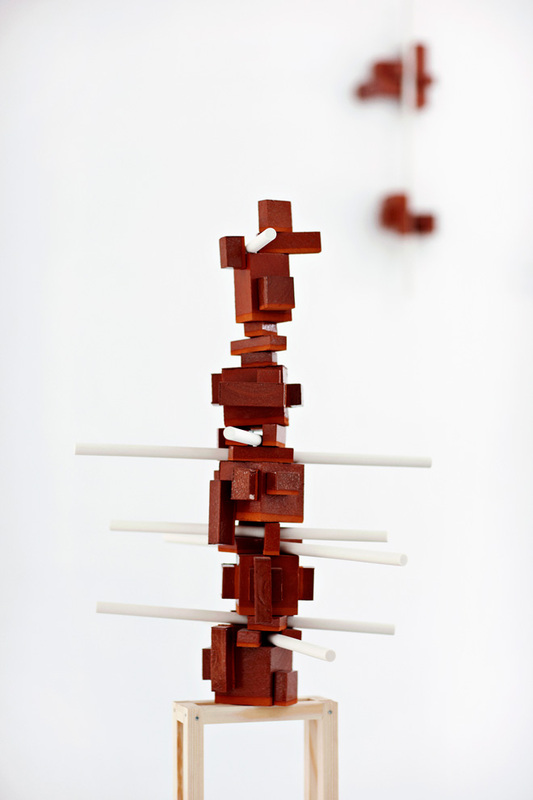 The works appear as formal studies, where the essence of stacking, supporting, hanging and holding together constitutes the core of the investigations into what notions such as balance and materiality really are about. The shape of the final object is given only when the last element is put into place. Sophus Ejler Jepsen, by contrast, employs many different materials for his work-production and among these; he has quite frequently been working with ceramic materials, notably porcelain, with a specific interest in its classic blue/ white expression. 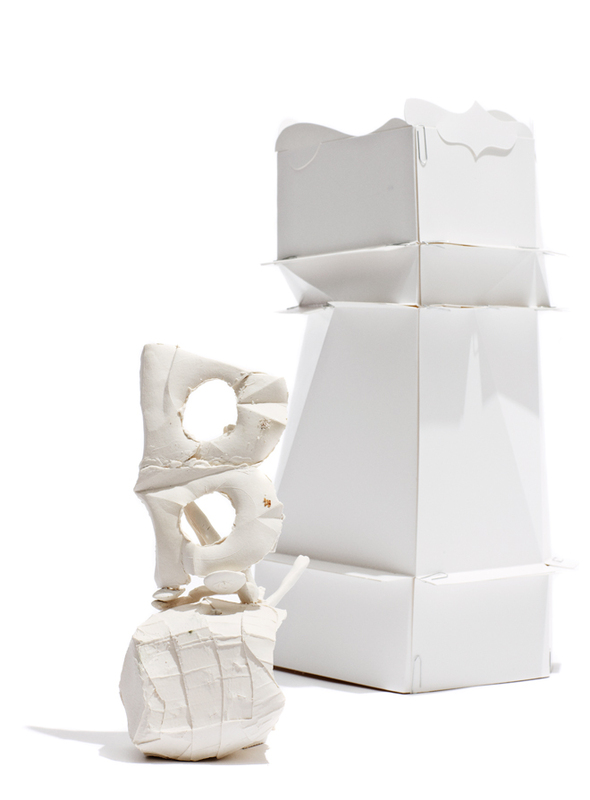 He has been challenging the culturally inherent exclusivity of the material through unconventional construction methods and elabora-tions, such as using cardboard and paper as shaping tools, whereby he has obtained surprising expressions, leaving the materiality of the porcelain inseparable from the marks of these tools. 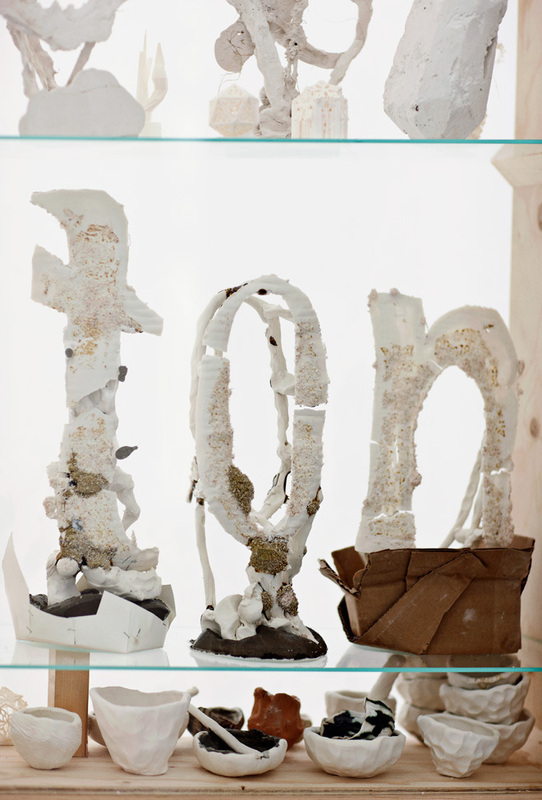 ’tanton is a romantic fiction based on Adelbert von Chamissos’ fantastical life and work , written , sketched and hatched - brought out - within a ceramic scale from plaster and cement to glaze and porcelain. It is continuing my work of unravelling the romantic starting point of the ceramic revolution of the 1900 – turn of the century ’. Mikael Jackson has a Master’s Degree from the Royal College of Art in 2008. 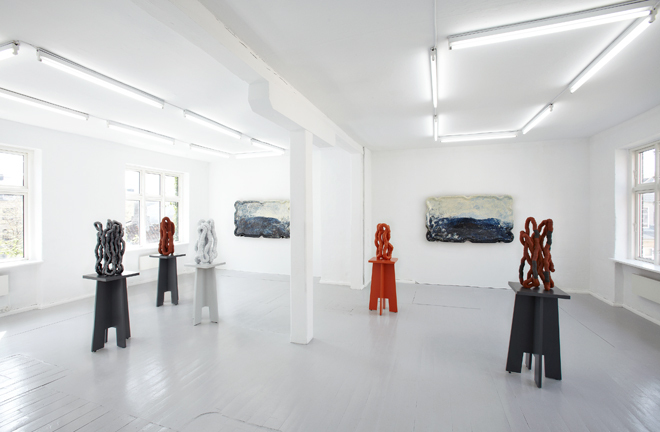 Among his latest exhibition are: Architectones, Ann Linnemann Gallery, Copenhagen, 2013 ( solo); Puls Contemporary Ceramics, Bruxelles, 2012; Biennale Internationale de Vallauris, France, 2012; Copenhagen Ceramics, with Inhabitants ( group show), 2012; The Biennial for Crafts and Design, Koldinghus, DK, 2011 and Across, Ny Tap, Carlsberg, Copenhagen, 2011. Sophus Ejler Jepsen was educated at The Royal Danish Academy of Fine Arts in 2005. His works are represented in e.g. The Danish Arts Council Collections; Vejen Art Museum, DK and in private collections. Recent shows, e.g. : Sculpturepress.org at Jens and Olivia Holm-Møller Museet, Holstebro, DK, 2013; Skovsnogen, Alt_Cph 2013; Med leret som gidsel, Vestjyllands Kunstpavillon, Videbæk, DK, 2013; Grænselands-udstillingen, Åbenrå, DK, 2013; Skygge og Spejl, Vejen Kunstmuseum, DK, 2011. The exhibition will be opened by Teresa Nielsen, Museum Director at Vejen Art Museum, on Thursday 25 September at 5 – 8 pm. Landscape as the scene of everyday life. Sculptures as concrete drawings in space. Huge, robust ceramic dishes are set against more fragile, sinuous accumulations of abstract form in the exhibition of Marit Tingleff and Martin Bodilsen Kaldahl at Copenhagen Ceramics. 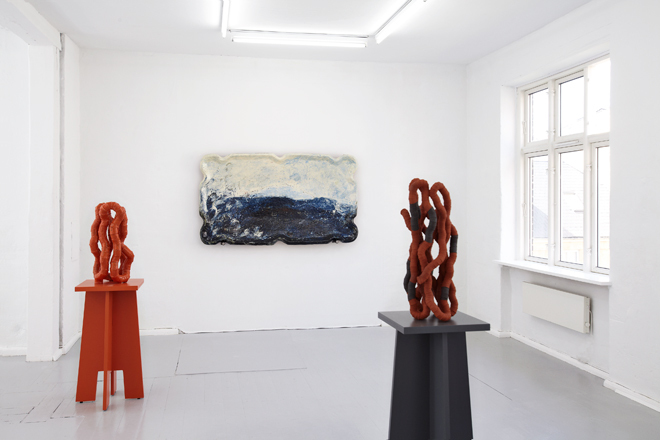 X – Scapes is the title of the joint exhibition by Norwegian ceramicist Marit Tingleff and Danish Martin Bodilsen Kaldahl. The title refers to ’scape’ as in landscape, while also pointing to numerous other possible scapes - physical and mental scenarios– anything from seascape and cityscape to mindscape; from the concrete to the abstract. This x- scape represents the pivotal point of the meeting in clay between the two artists, where, in spite of the obvious differences in their artistic expression, the ambience of their work overlaps and visual resonance appears. 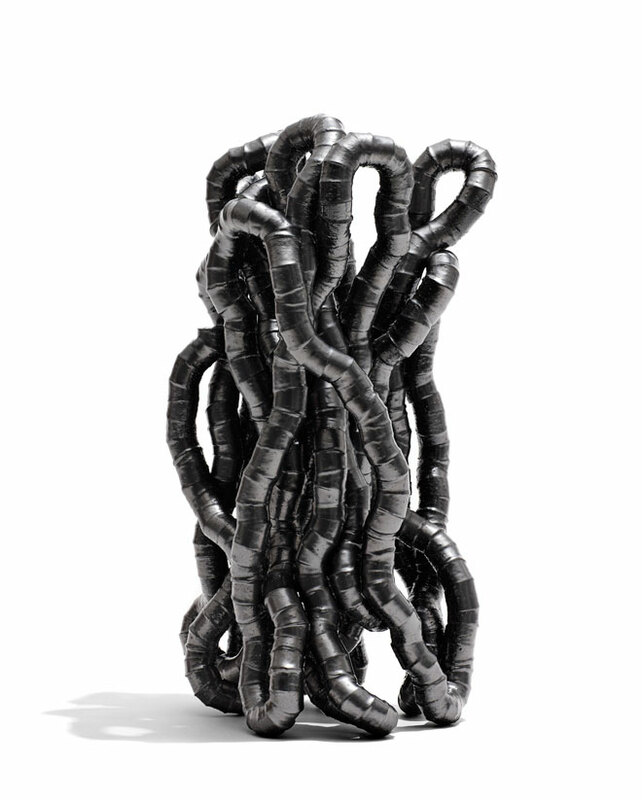 Marit Tingleff is internationally renowned as one of Norway’s greatest contemporary ceramic artists.Throughout her career she has consistently worked with, and against, the deep-rooted cultural layers of ceramic tradition. Her particular strength lies in her ability to express the monumental character inherent in everyday phenomena. She manages to elucidate the metaphorical qualities of even the most ordinary functional objects, precisely by insisting so powerfully on their familiar and beloved forms. These are often presented in a monumental format - very large ceramic dishes or platters are her particular subject. 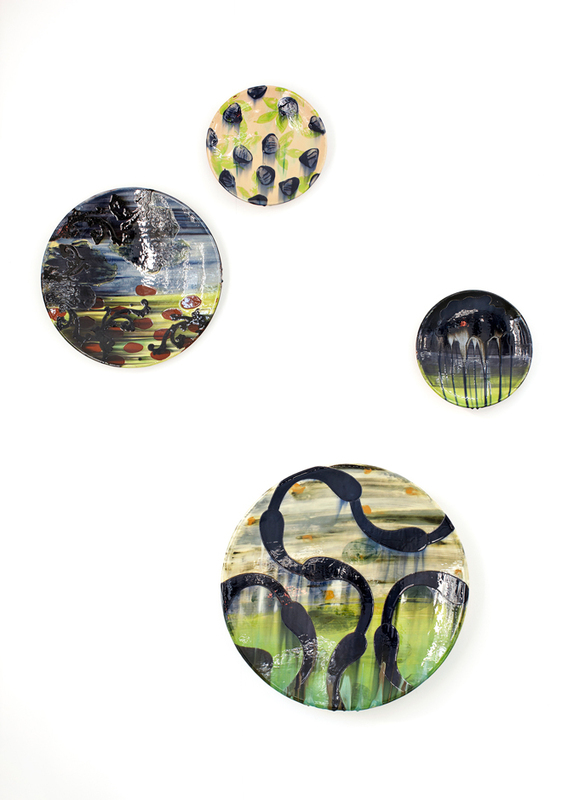 In the work she will be showing at Copenhagen Ceramics, she treats the landscape as a painterly theme with reference to early faience tableware. 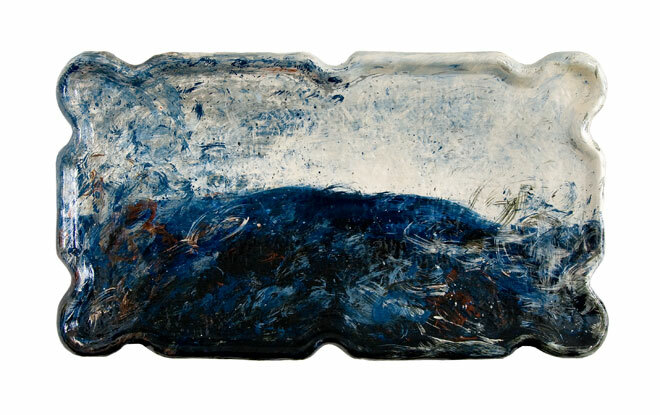 Blue landscapes were favoured as subject matter and are still found on plates, cups and dishes in many homes. 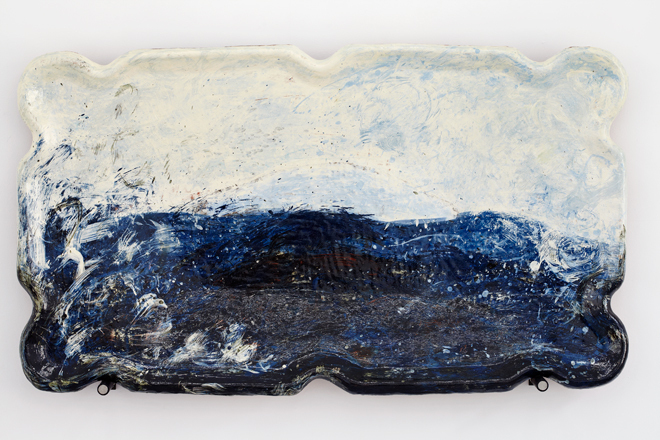 Tingleff uses the landcape of her own daily life as a starting point for an interpretation of these ceramic landscapes. In a very different manner, a sense of being within landscape is equally the theme for Martin Bodilsen Kaldahl, in an abstract vein. 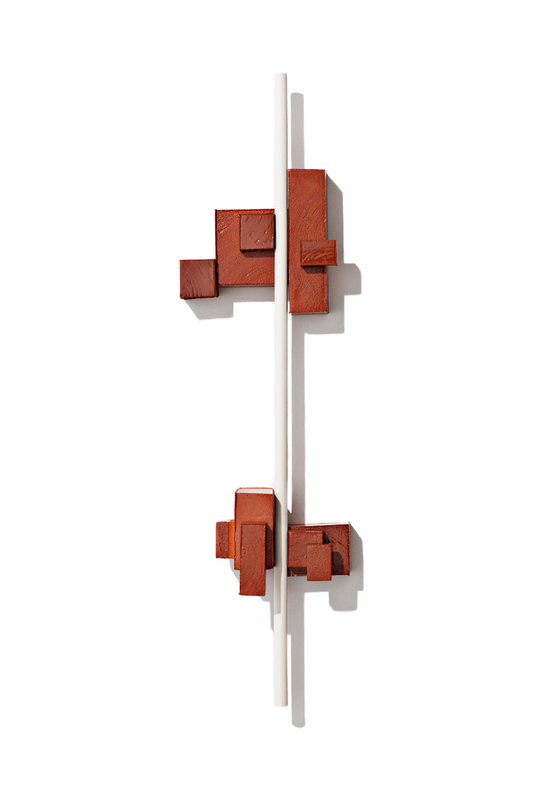 In his ceramic sculpture the underlying agenda is to emphasize simple existence in space. Characteristically, he insists that even the most casual, banal gesture in space can be made important through a precise formal elaboration. Here is the crossover with Marit Tingleffs work: both have a vigilant eye for the monumental within the seemingly insignificant. In his new works, entitled Spatial Drawings, he aims to establish the conditions for creating an intuitive, spatial form. He sets up his own obstacles to avoid consciously planning the figures. Out of endless small bits of clay tubes he builds parts that are then assembled into larger structures, which move around in space - dancing, groping their way, rising and falling. Like sculptural equivalents of semi-consciously scribbled doodles, they just exist – perhaps they emerged out of a void of thought – a distracted sense? They could have looked completely different. A pure sculptural movement. A captured account of the here and now. 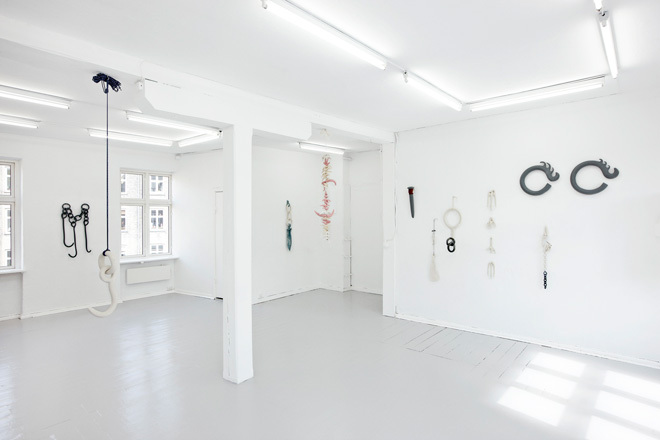 Marit Tingleff is represented in many public and private collections in Norway and abroad: e.g. Designmuseum Danmark; National Museum, Oslo; the decorative art museums of Bergen and Trondheim; Victoria and Albert Museum, London; Anthony Shaw Collection, London and many more. She has made commissioned work for several Norwegian embassies and government offices. 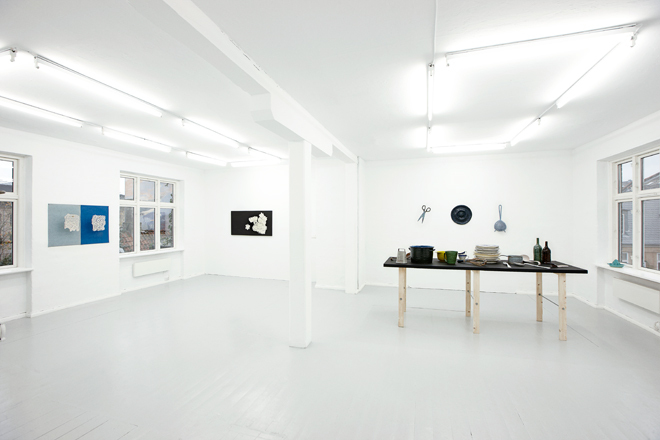 Recent solo exhibitions include Arabia Museum, Helsinki, 2012; Kunstnerforbundet, Oslo, 2011. Unforeseen Events, was a dual exhibition with Alison Britton at Marsden Woo Gallery, London, 2009. Since early 2013 Marit Tingleff has been Professor at the Ceramics Department of the National Academy of the Arts in Oslo. The work of Martin Bodilsen Kaldahl is represented in Danish and international museums and private collections: e.g Victoria and Albert Museum, London; Musée des Arts Decoratifs, Paris; National Museum, Oslo; Designmuseum Danmark; Trapholt Art Museum, DK; MIMA, Middlesborough, UK; Annie and Otto Johs. Detlefs Collection, DK; Diane and Marc Grainer Collection, Washington. 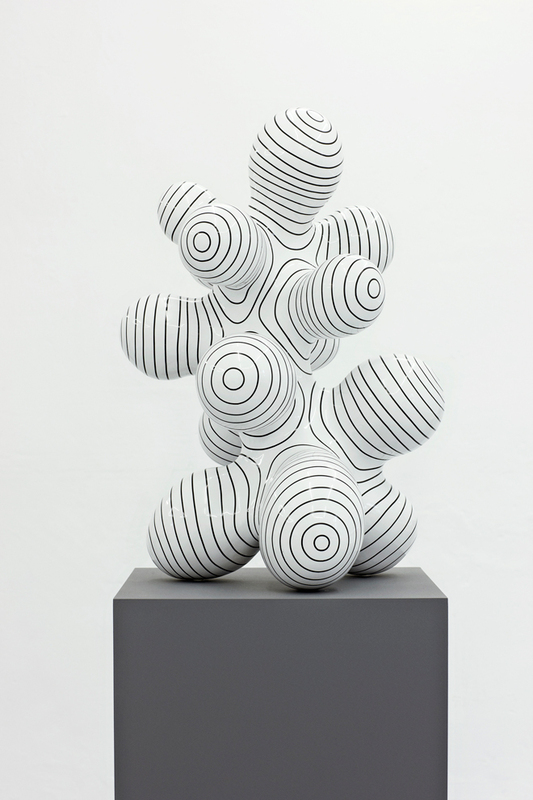 Recent shows include the New Year Exhibition, Marsden Woo Gallery, London, 2014; Danish Design at the House, Sydney Opera House, 2013; Copenhagen Ceramics, 2012 (solo); Contemporary British Studio Ceramics, Mint Museum, North Carolina, USA, 2010; The Digital Clay, Designmuseum Danmark, 2008 (solo); END, English – Norwegian – Danish group-exhibition, Designmuseum Danmark, 2007. Martin Bodilsen Kaldahl is teaching part time at The Royal Danish Academy of Fine Arts, School of Design. He is co-founder of Copenhagen Ceramics. The exhibition will be opened on 1 May 2014 at 5 pm by Alun Graves, curator of ceramics at the Victoria and Albert Museum, London. 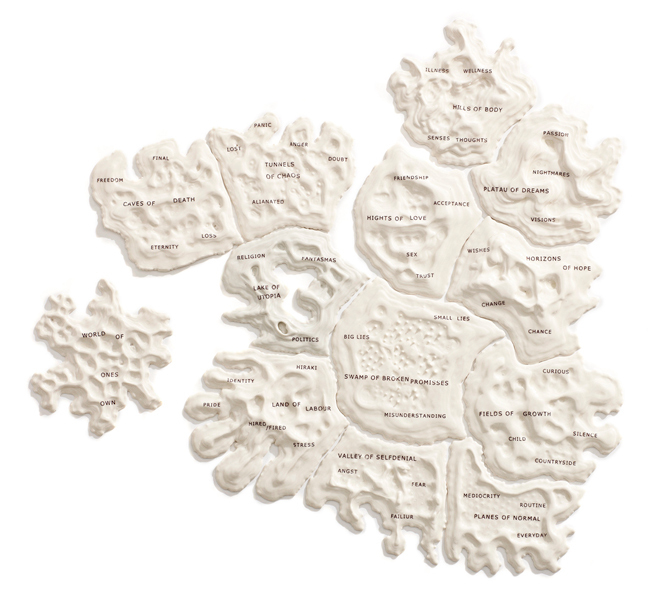 Martin Bodilsen Kaldahl: Spatial Drawing no. 5, h 64 cm. 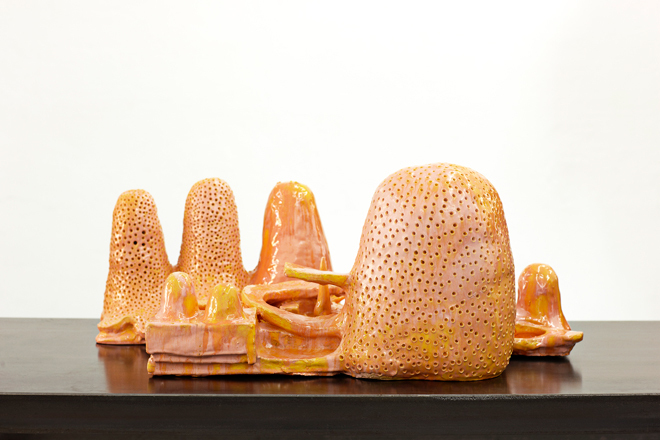 Glazed earthenware, 2014. Cumulonimbus are the kings among clouds – the ultimate stage in the development of a cloud of the cumulus type. 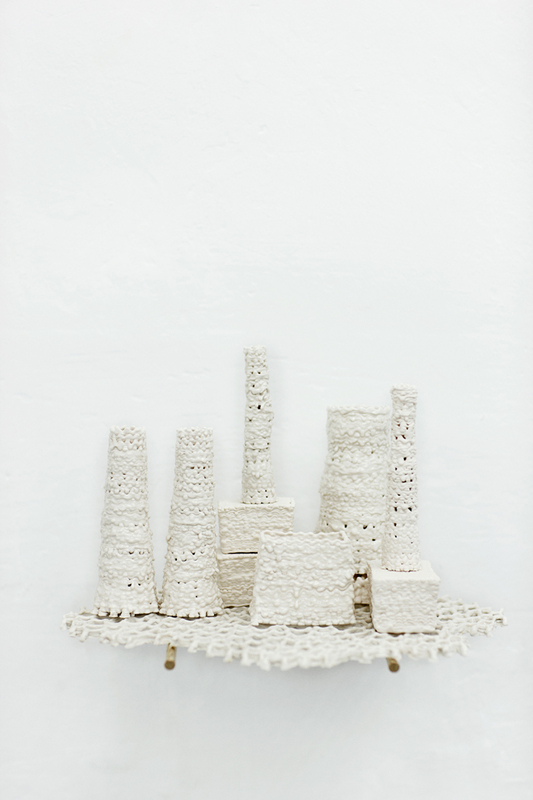 At Copenhagen Ceramics Bente Skjøttgaard shows new results of her ceramic elaborations on the cloud theme: the weight of clay as a means to express the airy and intangible. Over the last five years Bente Skjøttgaard has been working with clouds as her subject. 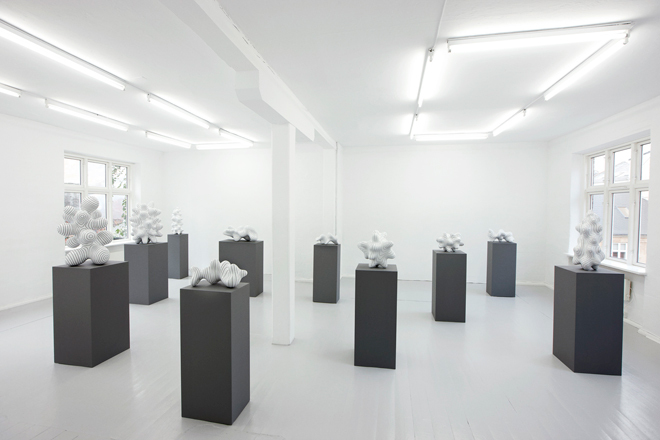 For the exhibition at Copenhagen Ceramics her clouds have reached the Cumulonimbus stage. Cumulonimbus are the kings among clouds – the ultimate stage in the development of a cloud of the cumulus type. Cumulonimbus are formed when smaller cumulus clouds merge into a bigger formation; the thermal winds increase within the cloud and it stacks up and rises vertically. Fascinatingly, cumulonimbus clouds loom up, heralding bad weather conditions. Bente Skjøttgaard explains: ’My clouds now stack up and the scientific source of inspiration is being transformed into personal, imaginary cloud compositions. Somewhere between the recognizable and the undefined. To a certain degree they are figurative, but always with the starting point in the qualities of clay as regards texture as well as balance. My clouds intend to neutralize gravity. To work with ceramics always means to be occupied with the heaviness of clay. The pivotal point of my work is the natural thermal rising of clouds versus the weight of the clay, and the cloud inspiration continues to provide material for new ceramic ideas: The clouds must be floating and in motion. They should be intense, synthetic marshmallows in psychedelic colours – the colours of the sky: red , orange and purple. In short, clay that doesn’t want to be clay, yet it must be highly ceramic. 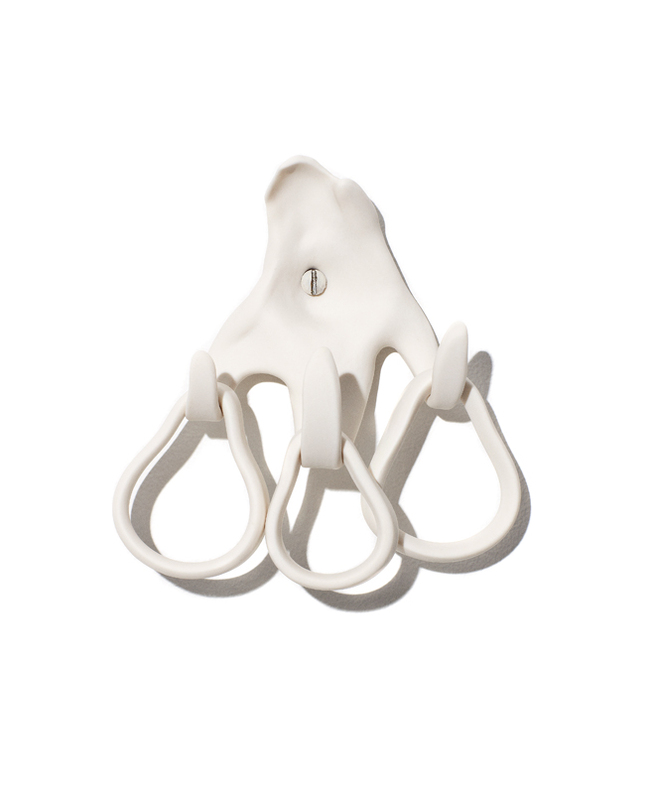 I am looking for a glaze, that seems frayed, crisp and porous to mimic the changeability and volatile volume of clouds. A shimmering mass of electrifying, overexposed, fluffy scrawl, that makes focusing difficult for the eye’. Clay is initially soft, then hardens during the firing, while a cloud remains inattainable, vaporous and constantly in motion, retaining the ability to transform into something else. This ’non-static-ness’ makes clouds interesting to explore sculpturally, and to relate to as volume, material, motion and colour. Bente Skjøttgaard makes rough sketches, but the clouds evolve during construction, partly because they rely on balance and what is actually possible to realize in clay. She is always trying to keep the freshness of the sketch and avoid the objects becoming too rigid as finished results. Moreover, ceramics has an inherent unpredictability because it is out of your hands during the high-temperature firing. Here everything again becomes soft, so keeping the balance right is important. The clouds must be in motion, but they should not be tipping over. This unpredicta-bility is a challenge – opponent and co-player at the same time. You are handed new gifts – more or less intentionally – leaving you to decide how to make use of them. Over the years, Bente Skjøttgaard has shown her works at numerous exhibitions in Denmark and abroad, e.g. Design Miami, USA, 2013 (with Galerie Pierre Marie Giraud); ‘Aire de Repos’ (solo), Galerie Maria Lund, Paris, 2013; ‘We would be delighted to see’, Art Center Silkeborg Bad, Silkeborg, DK 2013; MINDCRAFT 12, by Danish Crafts, Milan, 2012. In 2010 she made ‘Traces’, an art installation along the ancient road Hærvejen in Jutland - a project by the Danish Arts Foundation. 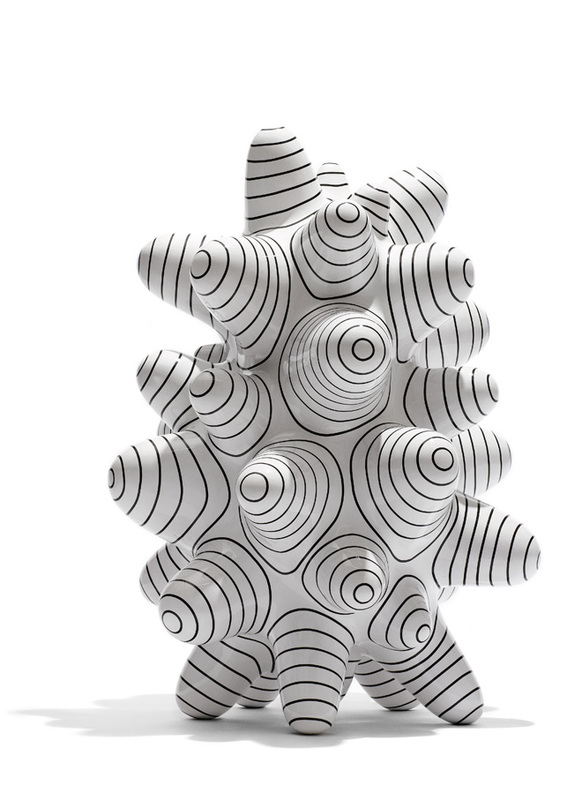 Her works are represented in many museums and private collections, e.g Victoria & Albert Museum, London; Fond National d’Art Contemporain, France; Musée National de Céramique de Sèvres, France; The Danish Arts Foundation; Holstebro Art Museum, DK; Erik Veistrup Collection at Museum of International Ceramic Art, Denmark; Annie and Otto Johs. Detlefs’ Foundation, DK. In 2005 she was among the first recipients of the Annie and Otto Johs. Detlefs Ceramic Award. 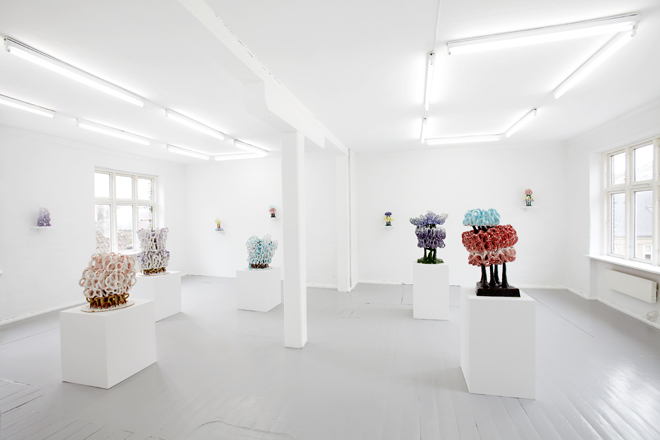 The exhibition will be opened on March 27 at 5 pm by Maria Lund, who has been Bente Skjøttgaard’s gallerist over the last ten years, and who last year invited Copenhagen Ceramics to collaborate on the show, ‘Terres – Copenhagen Ceramics Invites’ at her gallery in Paris. 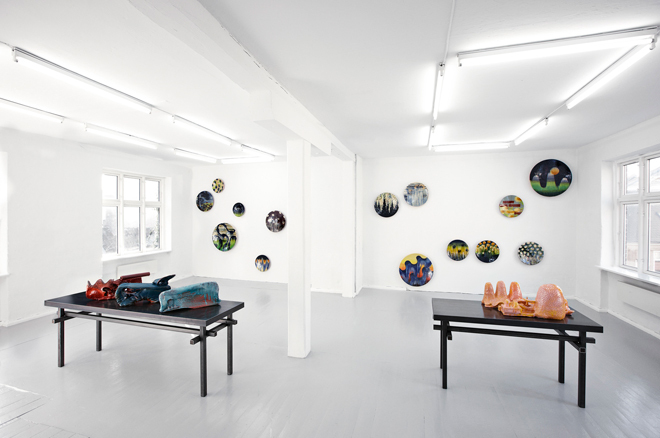 The expressive potential of ceramic glazes is one of the artistic links between both artists at the year’s first exhibition at Copenhagen Ceramics. 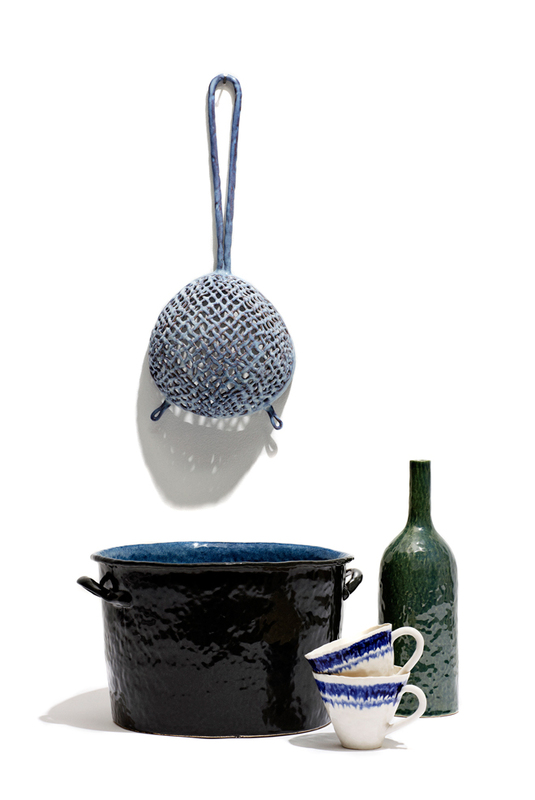 Gunhild Rudjord and Nils Erik Gjerdevik both master the capacity to exploit the particular textural possi-bilities of ceramics, but make use of them for widely differing purposes. 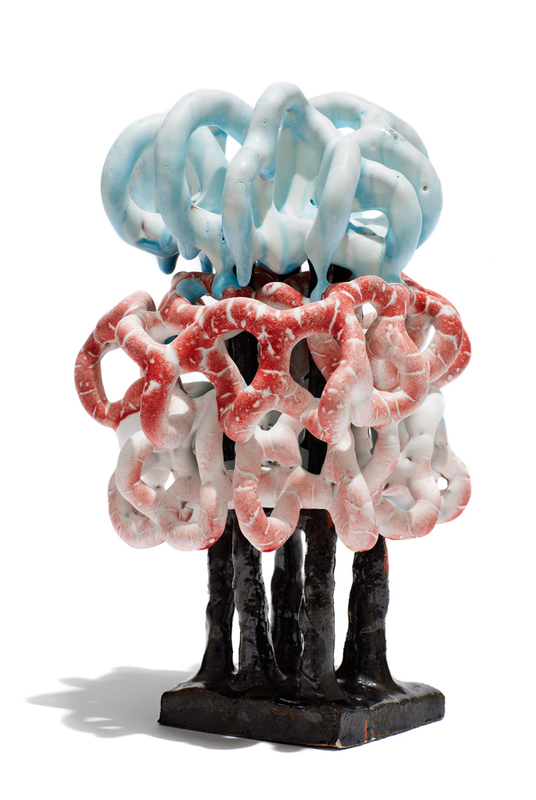 It might at first glance seem to be a somewhat odd combination of artists to find exhibiting new ceramic works together at the coming exhibition at Copenhagen Ceramics. 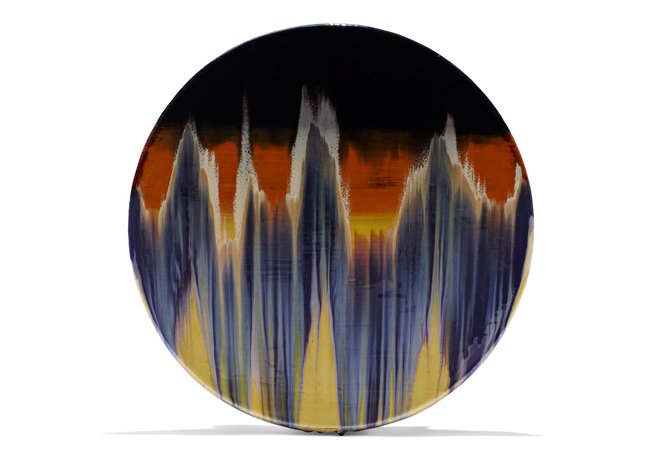 But on closer inspection it becomes obvious that an interest in the expressiveness of ceramic glazes, their physical properties and colour feature strongly in the work of both artists. They are nevertheless rooted in different traditions and their approach to the use of the materials is fundamentally different. Gunhild Rudjord was born in Norway, but trained as a ceramist in Denmark and in her career here she has mainly worked with some of the best-known archetypes of ceramics – the vessel and the dish as her ‘canvas’. She has created wonderfully decorated works where the ornamental motifs – often inspired by nature – are expressed in a more or less abstract form in an exuberant interaction with the glaze-effects of depth of colour, gloss and obvious signs of the fusing process during firing. There is a great deal of power in her works. They have the appearance of being simple but dramatic, with strong compositions, marked contrasts and – despite this – the particular softness of expression drawn by the glaze as it runs down over the surface of the pot. 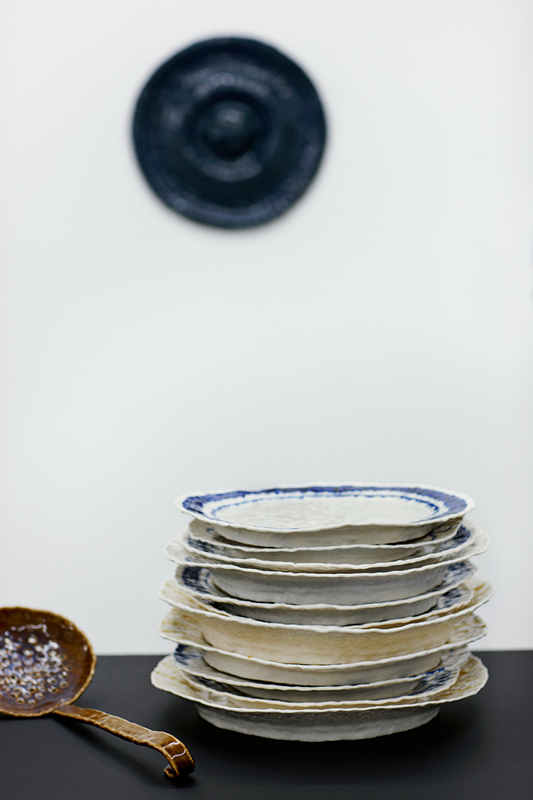 Gunhild Rudjord is virtually unrivalled in her capacity to exploit the particular transformation that takes place during firing, as can be seen in a series of new wall dishes on show at this exhibition. 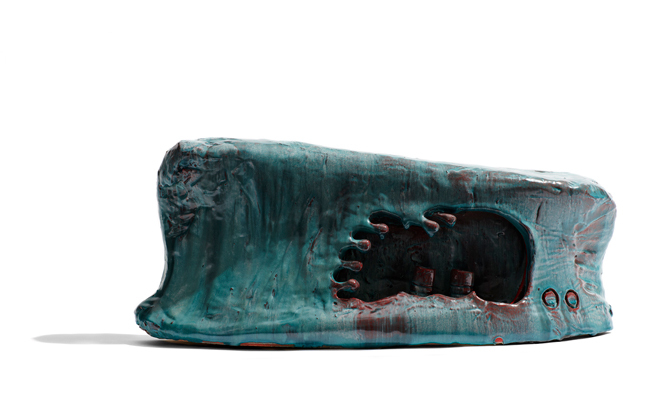 As far as Nils Erik Gjerdevik is concerned, the ceramic works arise from an apparently spontaneous processing of the actual material, the soft clay, into a sculptural expression. The ceramic works have, throughout his career, created a parallel track to his paintings and drawings. His abstractions are of a special nature: one category of works are the spatial constructions, which look like free-fantasy visions in an architecturally influenced artistic idiom which, partly via the soft hardness of the material, acquires an almost surrealist feel. Construction and deconstruction take place at one and the same time. 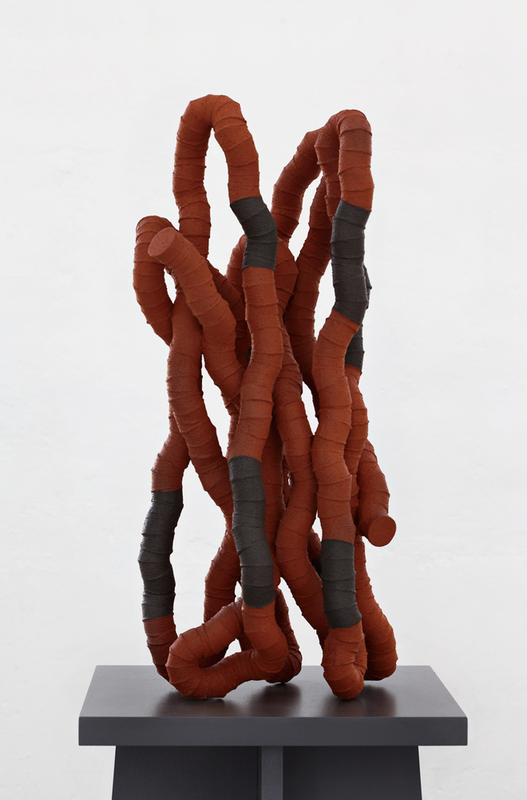 Other ceramic works unfold as large, untamed landscapes that contain an innate narrative, a blend of a clear form that at the same time apparently defies any form of interpretation: I see what I see, but what is it I see? There are many references in the works, both to former schools of art (e.g. Art Nouveau) in the formal techniques, but also elements taken from the universe of the strip cartoon. A formal stringency and a controlled chaos. First and foremost, however, his works have a presence, a here-and-now, where the response from the clay adds a quite distinctive dimension to Gjerdevik’s virtuosity. Gunhild Rudjord has exhibited widely in Denmark as well as internationally. Among her more recent exhibitions are Galleri Moderne, Silkeborg 2013, Galleri Pagter (solo), Kolding, 2012; Himmerlands Kunstmuseum 2011 (together with Kirsten Klein) and Kunsthallen Brænderigården (solo), Viborg, 2006. She has carried out various decorative assignments, including a two-metre-high vase for Faaborg and 100 platters for the New Carlsberg Foundation. Her works are represented at the New Carlsberg Foundation; Danish Art Foundation; Nordenfjeldske Kunstindustrimuseum, Trondheim, Norway and Sønderjylland Kunstmuseum, Tønder, DK. 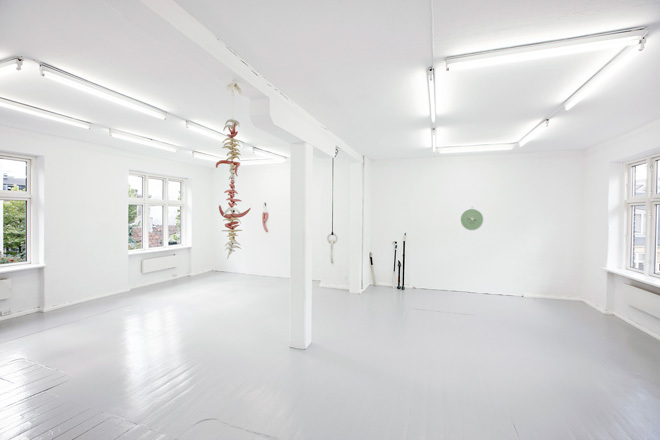 Nils Erik Gjerdevik’s impressive activities as an exhibitor include major solo exhibitions at Kunsthallen Brandts, 2012 and Kunstforeningen Gl. Strand, 2009. In addition he has had a great many showings at galleries at home and abroad – in Denmark at Galleri Nils Stærk in particular. He has also carried out a number of public decorative assignments for, including others, Erhvervsarkivet , Aarhus; The University of Southern Denmark and the Danish Parliament. His works feature in the collections of the National Gallery of Denmark, Aros–Aarhus Kunstmuseum; Esbjerg Kunstmuseum; The Danish Royal Collection of Graphic Art, Bergen Kunstmuseum, etc.